Join us this summer in Vail, Colorado for an intimate three day retreat to rediscover your inner rhythms and reconnect with nature's empowering cycles. This nourishing, interactive, and restorative experience is specifically designed to help you nourish your nervous system through experiential ritual, nature, and essential relaxation. Our host, Jolene Park, will lead you through an engaging experience to create the quite, contemplative spaces needed for true wisdom and recalibration to happen. Whether you are just beginning or cultivating a more expanded practice, Jolene will guide you on your journey to connect with the limitlessness of your feminine wisdom. It will be a weekend of pampering, rest, playfulness, connection (with yourself and others) and discernment - when to push through, when to ease up and how to find your own right balance to NOURISH your body, mind and spirit in very practical and inspiring ways. Vail valley is stunning in the summer and an ideal destination for a short weekend getaway. The mountains come alive with beautiful multicolored wildflowers and lush green valleys, nourished from the previous winter’s snow runoff. Nestled between high sloped mountains, Vail Village comes alive with weekend Farmer’s Markets, free outdoor concerts, and open walking/biking trails along the creek. Jolene Park is a functional nutritionist, health coach and trauma informed yoga instructor. For this three day retreat, she will guide you along your journey to reconnect with your feminine cycles and restore your natural rhythms. This experience is designed to build vitality, nurture stillness, and revitalize your body and mind. It will be a relaxing and rejuvenating retreat experience with a small group of women. A sample daily schedule includes: essential silence, nature connection, working with transitions, vibrant and restorative practices, somatic yoga, rest, and celebration. How to work with your life cycles, hormone cycles, and moon cycles as a way to regulate your nervous system. How to work with your energy anatomy and boost physical vitality by understanding and accessing the wisdom that’s already encoded in your female body. How to notice and work with, not against, the natural rhythms within a 24-hour day and create ritual around monthly and seasonal cycles as a way to nourish and care for your emotional body. Summer is the best time of the year to experience the Colorado mountains. With beautiful sunshine, wildflowers, and stunning vistas, nothing is quite like a Colorado nature walk. At Beaver Creek, Aspen Glade, Allie's Way and Village-to-Village trails probably have some of the best, most beautiful trails that you'll enjoy. Enjoy breathtaking views while the gondola whisks you up above 10,000ft. Located close to The Arrabelle, this is an enjoyable and easy way to take in the grand sites of the Vail Valley. The Arrabelle's luxurious, 10,000-square-foot RockResorts Spa® pampers guests with a warm and inviting atmosphere, elegant décor, rejuvenating spa treatments, state-of-the-art fitness center and so much more. Rest assured that RockResorts is committed to innovation and leadership in eco-conscious luxury; the Spa stimulates your senses while using only the most advanced in natural, botanical technologies for its treatments. Luxuriate in the highest quality organic ingredients during your treatment. Vail Village is an international travel hotspot, and as a luxury global destination it holds a wonderful collection of shops, from clothing and high-end furniture, to cutting edge sports gear and beautifully presented art pieces. Few things feel more relaxing than strolling through the sophisticated pedestrian-only streets of Vail with a nice cup of coffee or tea in hand. You will often find live music, local events, and gatherings dotted throughout Vail Village and Lionshead where the bulk of Vail shopping takes place. Since its incorporation in 1966, Vail has earned the distinction as one of the leading mountain resort communities in North America. 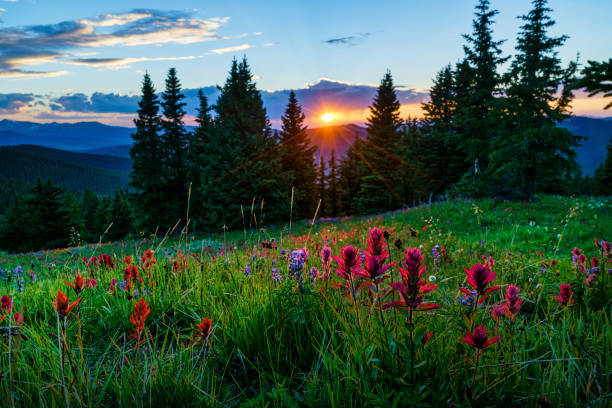 With more open space than any other community of its kind, free transit and other environmentally-sensitive services, plus an abundance of recreational, cultural and educational opportunities, Vail has become a great place to enjoy nature and relax. One of the best perks of Vail Village is its abundance of incredible restaurants. From fine dining to casual restaurants, the Vail area will have the perfect meal for every craving. As you will have lunches free we encourage you to explore the culinary gems throughout the town. When you arrive at the Arrabelle, you will feel as if you truly belong. Opulent, yet inviting, no other hotel can combine the same level of luxury with the type of old-world charm that inspired so much of the Vail Valley we know today. Savor the lavish accommodations while reconnecting with the true spirit of one of America’s most iconic ski resorts. Rooms are equiped with private baths, common areas, a lavish kitchen, and expansive balconies perfect for taking in the view and crisp mountain air first thing in the morning. Location, location, location. You can’t get much closer to the mountains than the base of the Eagle Bahn Gondola. Located in the heart of Vail Village you will be steps away from top of the line restaurants, shopping, and outdoor activities. Old-world charm. Get wrapped up in the timeless elegance, romance, and old-world charm of the Arrabelle, reminiscent of Europe’s grandest resorts and the architectural style that inspired Vail in its earliest days. Each day, your breakfasts and dinners will be specially curated by a Life Force private chef. Locally sourced, these well-balanced meals will highlight the beauty of the season with fresh, vibrant ingredients. For lunch each day you will be free to explore the amazing restaurants located throughout Vail Village. It wont be hard to find any kind of food to suit your needs, from high end luxury dining to the best of all natural local standards. If traveling by plane to Colorado you will arrive at the Denver International Airport. The best way to travel from DIA to Vail is by using the Colorado Mountain Express. Life Force will not be arranging a shuttle from the airport. In preparation for your trip, please read our Travel Planning Guide for important tips and information. Life Force recommends purchasing "Cancel For Any Reason" travel insurance in the unlikely event of a trip cancellation due to low enrollment.